Moon controls the tides and illunimataes the dark night. Although Moon is not among the most common crests,.....it is a popular image and is frequently depicted in the art. Moon appears in the mythology of all Northwest Coast Nations. 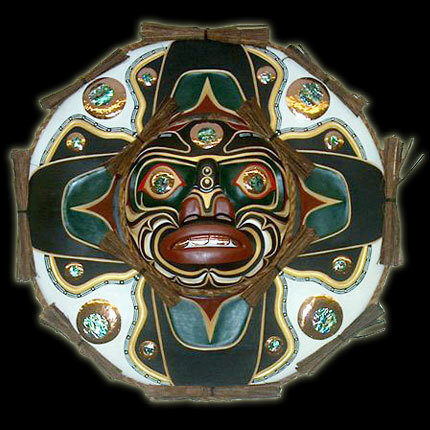 Carved from red cedar with acrylic paint and varathane - inlaid abaloneand copper, dressed with Cedar bark.